Acworth, Georgia, is no longer the best-kept secret in the South. With such spectacular parks, convenient location and friendly residents, it’s no wonder the estimated population in 2016 has doubled since 2000. 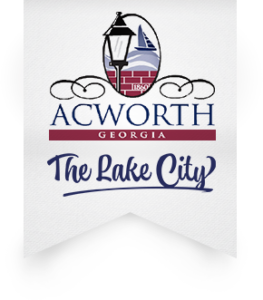 Acworth, however, is not too big to welcome you to town. Acworth, Georgia, has more than its share of Southern hospitality, ladies and gentlemen, and abundant opportunities to make the best out of life. Acworth’s historic downtown once served as the community’s primary central business district … Present day Main Street is located on [an old] trading route used by the Cherokee Indians. By the 1920s, it had evolved into the Dixie Highway — a major North-South thoroughfare, later replaced … by Highway 41 and Interstate 75. Part of the historic area of the city is being considered for inclusion in the National Register of Historic Places, an honorary designation given by the United States Department of the Interior. Acworth’s downtown buildings retain many of the architectural details … of commercial buildings constructed in the late nineteenth and early-twentieth centuries, and serve as a physical reminder of … when the downtown was the focus of small town life. Once you see Acworth, you’ll want to return for more.